In Fantasy sports, each player from the playing 11 is awarded fantasy points based on predefined criteria. For example, they get points for scoring runs, wickets, catches, run outs, stumping, etc in Cricket and goals, assist, saves, shots, etc in Football while raid, defends, tackles, etc in Kabaddi. Select any match from Cricket/Football/Kabaddi. Create your best team of 11 players and enter various leagues and challenge your friends in private leagues or you can play against others in public leagues. Looking for Fantasy sports apps like Dream 11? Here are some Apps where you can earn real cash directly in your wallet which you can redeem in your Bank account by just using your Cricket knowledge. You will find less competition in most of these apps as compared to Dream 11. Here is the most trusted and genuine Fantasy sports app where you can join various leagues and use your strategy and cricket knowledge to win and earn cash. My Team is the same as Dream 11 where you can get Rs 100 signing bonus and you get an extra bonus if you refer your friends. The rules and regulations are almost the same as the Dream 11 you can use the same strategy which you use in Dream 11. If you come to the point range which holds some amount of winning then you will be awarded real-time cash to your MyTeam11 account. You can redeem the winning amount later directly to your Bank account. It has additional functions like clubs and teams and few extra free matches which makes this app stand apart from Dream11. 2x points for the Captain & 1.5x points for the Vice-Captain. Select 11 players from both teams and create your own team within a defined virtual credit point. After choosing your playing 11 now its time to choose your captain & vice-captain that will help you earn extra points and increase your chance of winning based on their on-field performance. If you want to increase your winning chances with Multiple Entries. Join a “Multiple Entry” League with a maximum of 6 different teams. There are many grand leagues where you can make a maximum of 6 teams and join the league with multiple entries. You can join a league or contest organized by MyTeam11 with your created team or you can compete with your friends through a private league created by you or your friends. Halaplay is another app like Dream 11, but apart from cricket, you can also play Football and Kabaddi league. Many people are getting attracted to Halaplay who don’t play cricket but have knowledge about Football or kabaddi. Halaplay gives signing bonus of Rs 100 and referring bonus on every referral. If you come under the category of winning prize amount then you will get that amount in your Halaplay account which can be redeemed later to your bank account. You can invite unlimited friends! You can join a league or contest organized by Halaplay with your created team or you can compete with your friends through a private league created by you or your friends. Fantasy Power 11 is a Fantasy Sports App for Cricket. You will get Rs. 20 on Sign Up and Rs. 20 per refer. The best part about Fantasy Power is that the bonus will be 100% usable. Earn 10% lifetime bonus of referred friends. Use your cricket knowledge and earn money in your Fantasy Power11 account and Redeem it anytime. You can join a league or contest organized by Power11 with your created team or you can compete with your friends through a private league created by you or your friends. You can select a total of 5 batsmen from both teams, a captain and a vice-captain can be set according to your preference. You will earn 2 times for captain and 1.5 times for the vice captain’s role in the team. Why it is best and different than others? ⚪There is no verification process of pan card and bank details. ⚪You can transfer your winning in paytm instantly. ⚪You have to select five players (only batsman) from both teams. ⚪You get Rs.15 as a signup bonus. Select 5 Batsman from both teams and create your own team within a defined virtual credit point. After choosing your 5 Batsman now its time to choose your captain & vice-captain that will help you earn extra points and increase your chance of winning based on their on-field performance. 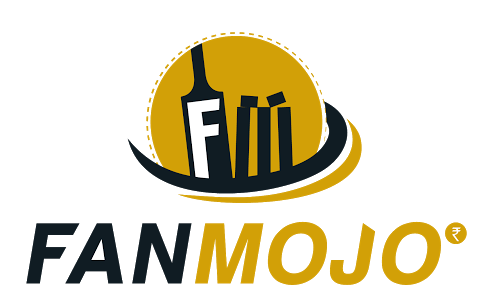 You can join a league or contest organized by Fanmojo with your created team or you can compete with your friends through a private league created by you or your friends. Duggout is another Cricket Fantasy App where you can use your cricket knowledge. It is a genuine app where many many users have earned thousands of cash prizes. The only thing different in this app is there is no caption or vice caption selection. In duggout, you can select 3 stars players which will be your key players to win the league. So you have to choose your 3-star players (Silver, Gold & Platinum). You can earn more points by selecting the best players. After choosing your playing 11 now its time to choose your 3 Star players Silver, Gold, and Platinum that will help you earn extra points and increase your chance of winning based on their on-field performance. You can join a league or contest organized by Duggout with your created team or you can compete with your friends through a private league created by you or your friends. Don’t Forget to Share your Views in Comments.